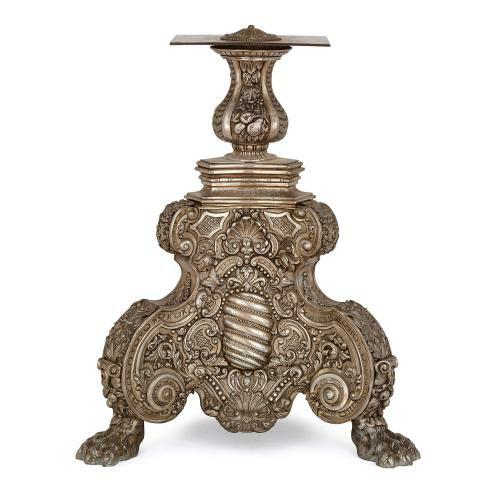 This intricate silvered metal torchere base will make an elegant accessory to an antique Baroque style torchere, or could be used as a decorative feature. 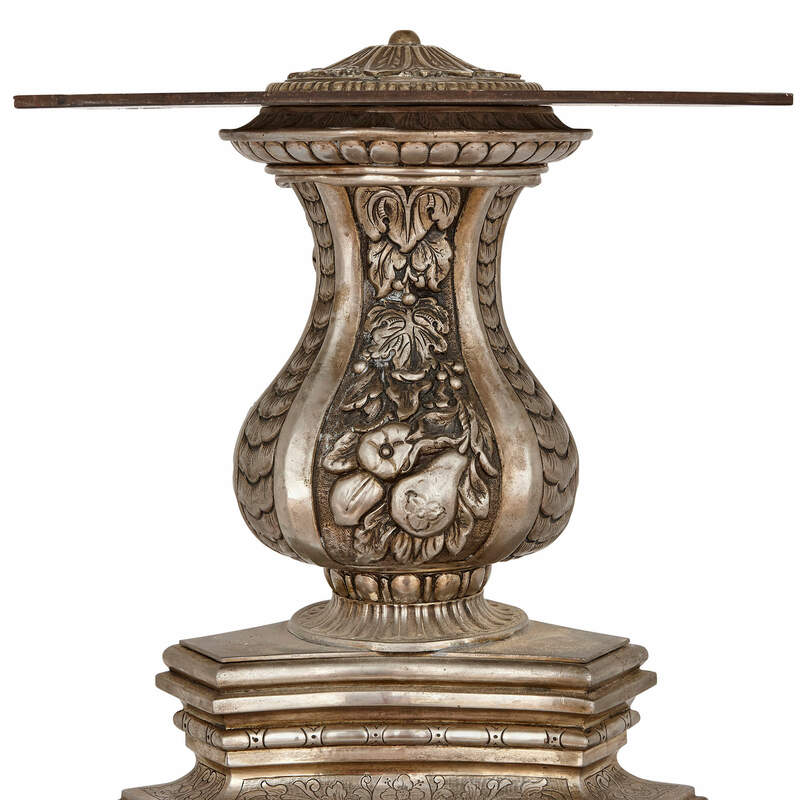 This large torchere or lamp base was originally designed to accompany a large light fitting, but the quality of the decorations on its exterior makes it stand out as an impressive piece in its own right. 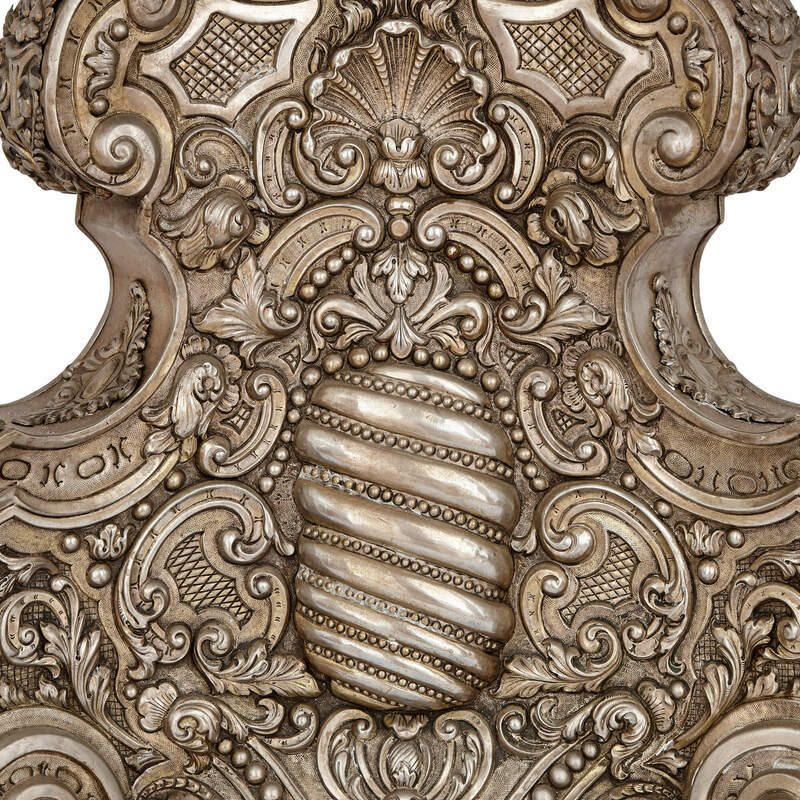 Built from silvered metal, the base is decorated with intricate, Baroque style scrolling floral, foliate and shell designs. 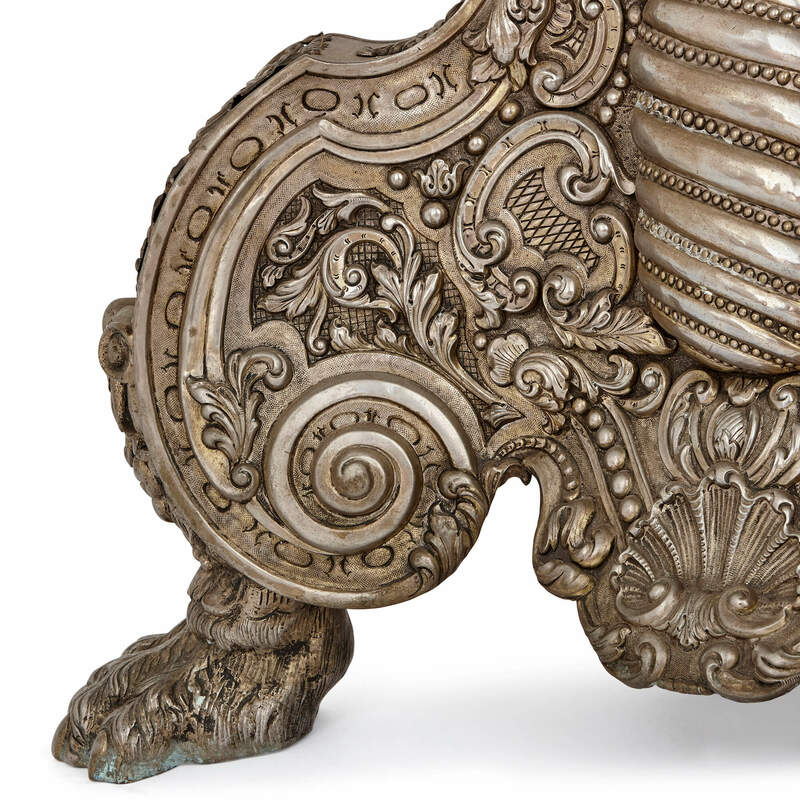 The base is triangular in form, features curved edges, and is set on three paw feet. 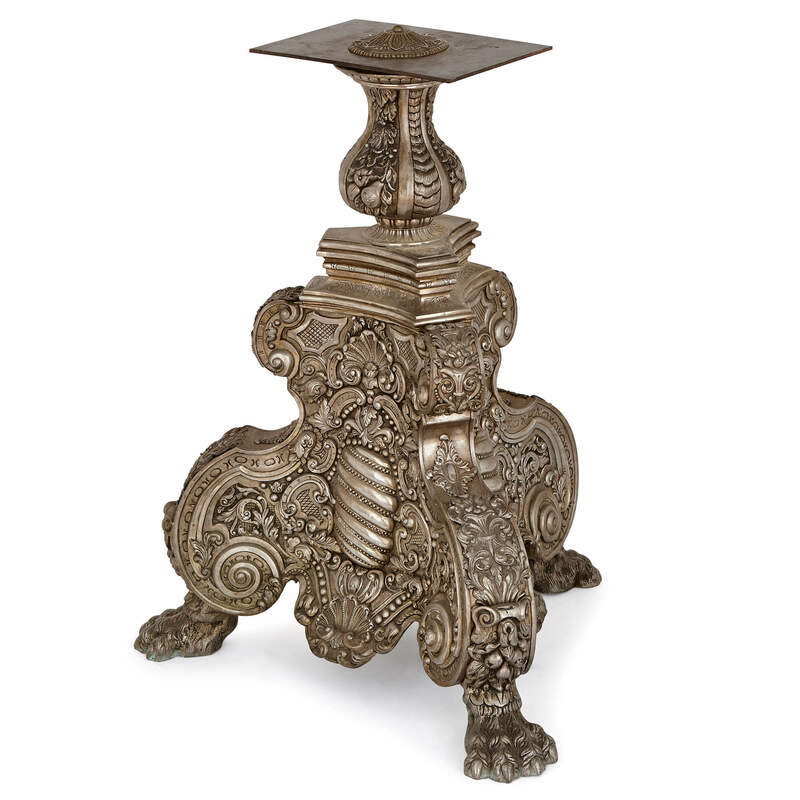 At the top of the base there is a triangular plinth with a baluster stem above which supports a rectangular metal platform. 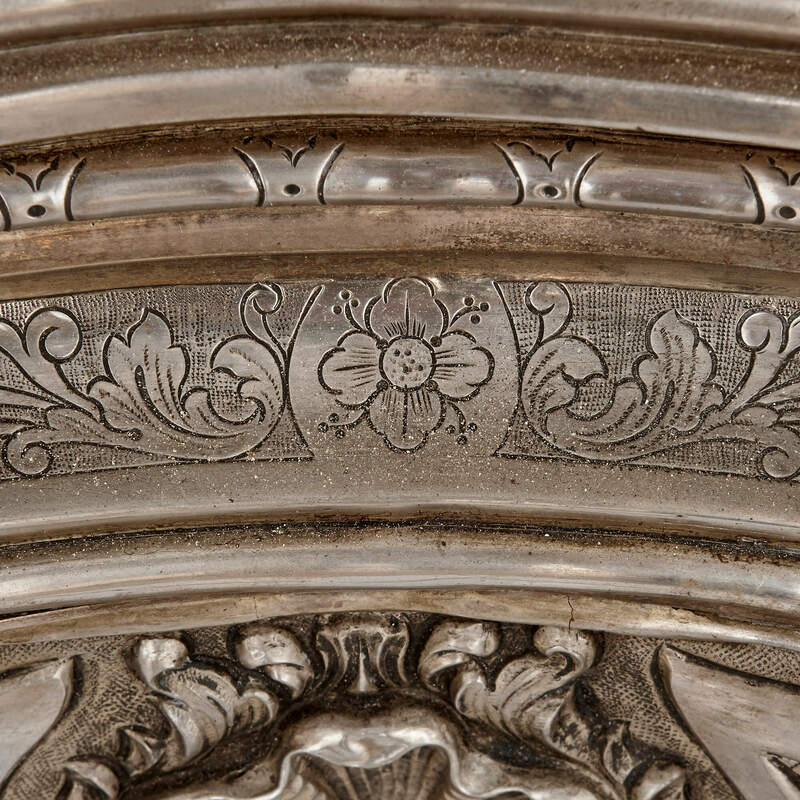 The plinth is engraved around its edge with floral motifs. 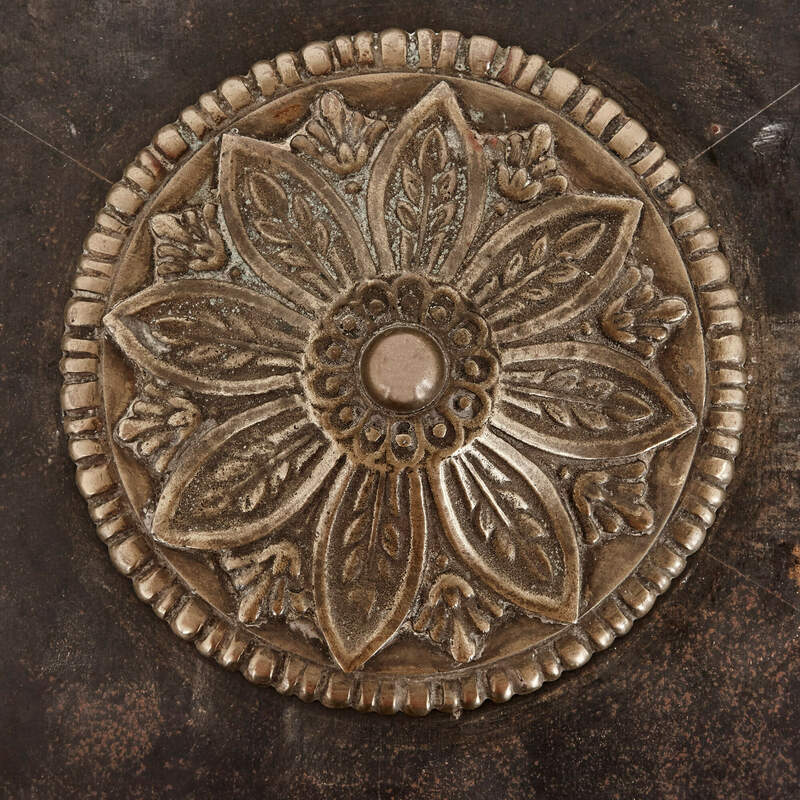 The decorations on this base have been completed using the repousse technique, an intricate, highly skilled method of silverworking which involves hammering a pattern into relief from the reverse side of the metal.